A major enhancement of the Geophysical Add-on, the GOM3 Seismic Tool, is now being rolled out. 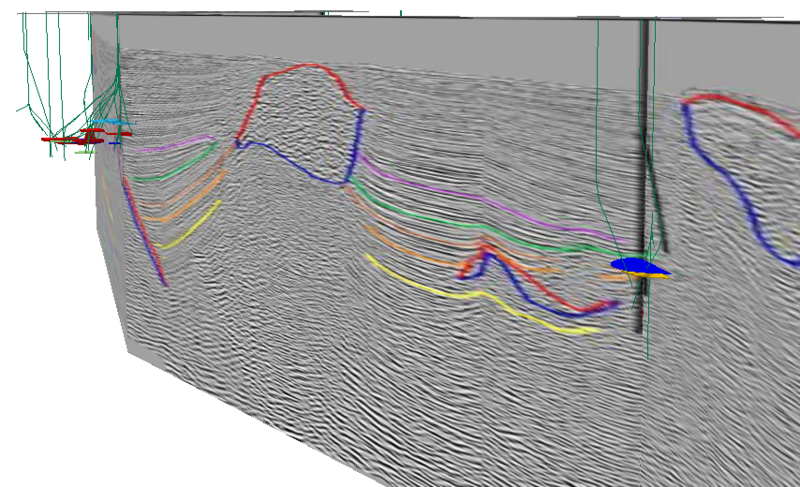 This tool integrates proprietary seismic data with existing GOM3 data (or proprietary data) in a 3-D scene. 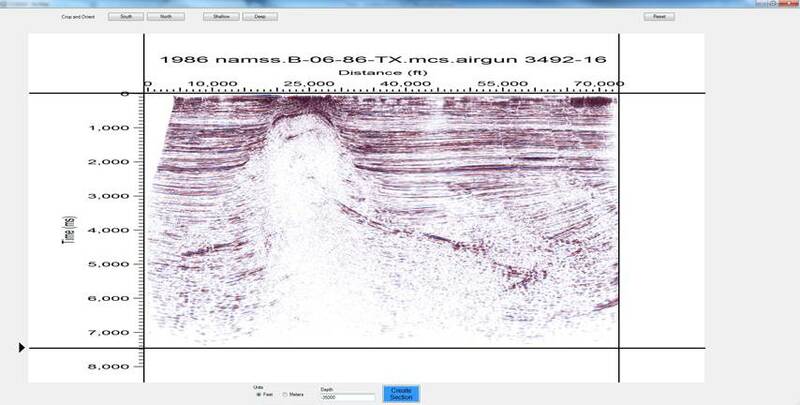 In addition, the tool can be used to place any vertical cross section (stratigraphic, geochemical, log-derived, etc.) into a 3D scene. The tool handles an almost unlimited number of coordinate systems and can be used outside of the Gulf of Mexico. As a reminder, the full Geophysical Add-on includes over 7,500 lines to view in the context of 3-D sands, wells, paleo horizons and more. It also includes all of the SEG-Y data, preview images for those lines and an additional 6,000 lines without SEG-Y files and all of the 3-D seismic SEG-Y data that has been released. A new video showing the integration of BOEM data is available by clicking this link. 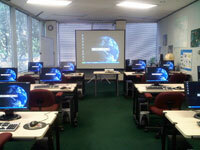 If you are interested in testing this new functionality, please contact Scott Morris for evaluation software. Seismic image from article with interpretation in 3-D scene with wells and sands. Cropping the margins of a seismic image. Just a quick reminder that the Storms Map in GOMsmart displays all of the latest hurricane forecasts from the National Hurricane Center in the context of all leases, platforms, pipelines, fields, etc. in the Gulf of Mexico. Tropical Storm Nate is quickly moving north and is expected to be a hurricane as it moves through the central Gulf of Mexico. The National Hurricane Center's forecast of Nate as of 1:00PM CDT, Oct. 5, 2017. FEMA evaluation routes are shown onshore. The next TeachMeGIS class is nearly upon us but there is still time to sign up. The next workshop will be held on Wednesday, October 11, 2017 at their training center in west Houston. 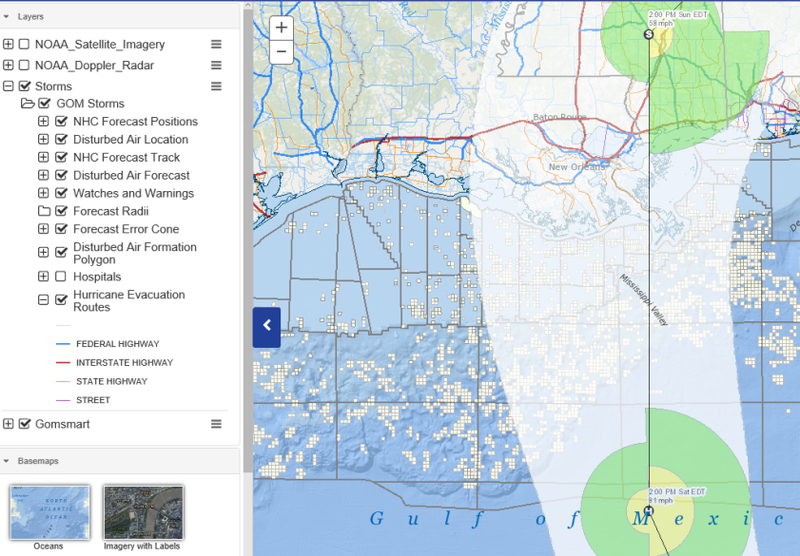 The class, Analyzing Petroleum Data in the Gulf of Mexico with GOM3, works through GOMsmart and goes through ArcGIS from simple workflows to complicated exercises, including an introduction to 3-D GIS. An outline of the class is available here (PDF) and registration can be completed at the TeachMeGIS website, www.teachmegis.com.